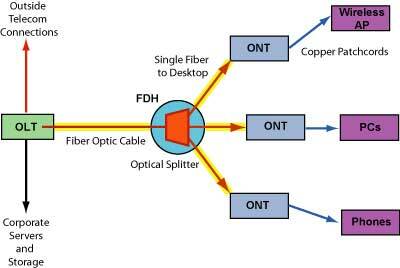 It is universally known that fiber optics transmit data by light signals. As the data moves across a fiber, it needs separated ways to arrive at the targeted places. Generally, there are two essential types to realize it: active optical networks (AON) and passive optical networks (PON). They are both able to provide ways to separate data and route it to the proper places. Nowadays, server providers invest billions of dollars in their access networks to meet the ever-increasing demand for high-bandwidth broadband. In addition to technology longevity, server providers also like to see technology evolution to ensure future consumer demands can be met. Consequently, the development of the network PON type is on the rise. A passive optical network (PON) refers to a telecommunication technology that implements a point-to-multipoint architecture. In that case, unpowered fiber optical splitters can make a single optical fiber serve multiple end-points such as customers. Then there is no need to connect individual fibers between the hub and the customer. The system can be described as fiber-to-the-curb (FTTC), fiber-to-the-building (FTTB), or fiber-to-the-home (FTTH). 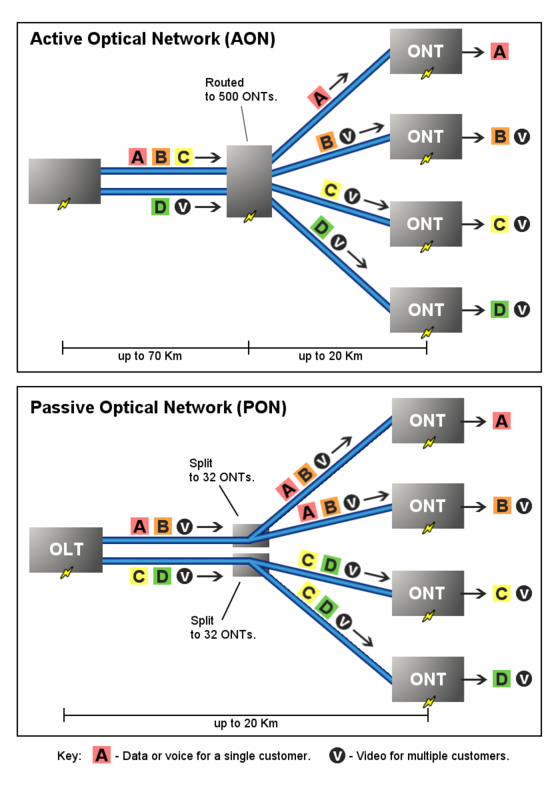 A PON consists of an optical line termination (OLT) and a number of optical network units (ONUs). Normally, the OLT is placed at the server provider’s central office and the ONUs is put near end users. And up to 32 ONUs can be connected to an OLT. The passive optical network simply describes the fact that optical transmission has no power requirements or active electronic parts when the signal is going through the network. 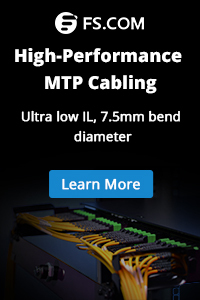 A PON system makes it possible to share expensive components for FTTH. A passive splitter that takes one input and splits it to broadcast to many users, which help cut the cost of the links substantially by sharing, for example, one expensive laser with up to 32 homes. PON splitters are bi-directional, that is signals can be sent downstream from the central office, broadcast to all users, and signals from the users can be sent upstream and combined into one fiber to communicate with the central office. As it was mentioned above, AON and the network PON type serve as the two main methods of building CWDM and DWDM backbone network. Each of them has their own merits and demerits. An active optical system uses electrically powered switching equipment, such as a router or a switch aggregator, to manage signal distribution and direction signals to specific customers. This switch directs the incoming and outgoing signals to the proper place by opening and closing in various ways. In such a system, a customer may have a dedicated fiber running to his or her house. The reliance of AON on Ethernet technology makes interoperability among vendors easy. Subscribers can select hardware that delivers an appropriate data transmission rate and scales up as their needs increase without having to restructure the network. However, AON requires at least one switch aggregator for every 48 subscribers. 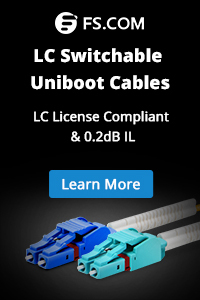 Since it requires power, an active optical network inherently is less reliable than a passive optical network. A passive optical network, on the other hand, does not include electrically powered switching equipment; instead, it uses optical splitters to separate and collect optical signals as they move through the network. A network PON type shares fiber optic strands for portions of the network. Powered equipment is required only at the source and receiving ends of the signal. PONs are efficient since each fiber optic strand can serve up to 32 users. Besides, PONs have a low building cost compared with active optical networks along with lower maintenance cost. However, PONs also have some demerits. They have less range than an AON, which means subscribes must be geographically closer to the central source of the data. When a failure occurs, it is rather difficult to isolate it in a PONs. Moreover, because the bandwidth in a PON is not dedicated to individual subscribers, data transmission speed may slow down during peak usage times in an effect known as latency. And latency would quickly degrade services such as audio and video, which need a smooth rate to maintain quality. Fiber is more secure than copper. It is harder to tap. There is no available sniffer port on a passive optical splitter. Data is encrypted between the OLT and the ONT. From what we have discussed above, you may at least have a brief understanding of the passive optical network. In fact, PON has appeared for many years in the telecommunication field. Now PON is finally making its way into the enterprise, providing opportunities for customers to deploy new infrastructures or new constructions. With the development of technology, the network PON type mainly focuses on the commercial market. Especially, it performs well in healthcare, college campuses, hotels, and office buildings. The PON eliminates the need for switches and a wiring closet, which means a lower chance of failure. This entry was posted in PON and tagged active optical network, network pon, passive optic splitter, passive optical network. Bookmark the permalink.